Radio host and writer known for his sports coverage, primarily in the southern United Sates. He launched his radio show in 2001 and has worked for the SEC Network. He's also published several books about sports. He graduated from the University of Tennessee in 1978 with a degree in political science. He started working for the Birmingham Post-Herald in 1980. He's won more than 250 awards for his work in sports journalism. 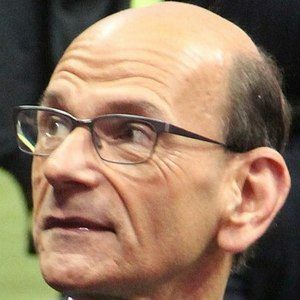 It was on Finebaum's show, following the Iron Bowl in 2011, that Harvey Updike claimed to have poisoned trees at Auburn University. He married his wife Linda in 1990. He's appeared alongside Bob Ley on Outside the Lines.